If Ukraine’s new generation with Western mindset starts running the show, there will be no per manent political crisis”: Pres. of Kyiv-The Netherlands Business Club. Ahead of the April 6 Dutch referendum on Ukraine-EU Association Agreement, Denys Iatsyshyn sat down with Hans Ramaekers, President of Business Club Kyiv-The Netherlands, to discuss Ukraine’s European prospects, find out what the two countries have in common, and dismiss some of the most prominent myths about Ukraine. In your opinion, how real is the concept about Ukraine in the minds of people from European countries (Netherlands in particular) How well informed are they? People in European countries as well as in particular The Netherlands are not informed at all about Ukraine. 99% do not even know what the referendum on April 6 is about. Geen Peil and Geen Stijl who are against Ukraine are bringing information about Ukraine which is not correct. Furthermore nobody is thinking about Ukraine right now, they are busy in Europe with refugees from Syria. MH-17 was news that put Ukraine on the chart. Robbery of paintings from Westfries Museum that suddenly “popped up coincidentally”10 years after robbery in East Ukraine. But this is negative news promoted by Russia to bring Ukraine in discredit and to put Ukraine in isolation from EU. Has your opinion about Ukraine changed since you first started working here? What were your expectations and, maybe, fears at the beginning? Yes, of course my opinion about Ukraine changed during living and working in Ukraine. I was positive from the beginning by the way. My nature is optimistic and positive all the time. First time I came to Ukraine in October 2010. Never had the intention to go Eastern Europe, but friends told me to go. I thought it was far away ( found out only 2 hours and 20 minutes flight from Amsterdam) and I thought it was a dangerous country, that’s why I booked 5 star hotel Premier Palace for 4 nights ( made me feel safer). After one day I was already walking at 1 o’clock at night through the city. No problem at all. I felt more afraid walking in Amsterdam at that time. I know for sure that a lot of people I talked with in the Netherlands about Ukraine, that they have the same thought I had in the beginning. My working experience was very interesting. I had the chance to get to known Ukrainian way of work; it is slightly different from Dutch. But generally Ukrainian people are kind, responsible in some way, but slow in making fast decisions after analyzing it. First reaction is that the country is corrupt. I always tackle this remark by answering that a lot of countries in the world are corrupt. China (including human rights) North Korea, Nigeria and some other countries on the African continent and there is even corruption in European countries, also in The Netherlands (I call it legal corruption), Belgium, Greece, and so on. The state assets are robbed by few people and their “friends,” mainly former intelligence people, who have all the knowledge and information about the country. It ‘s the same way Putin did it. A second myth is regarding whether Ukraine is loyal toward Western Europe. Before Maidan 2013 Ukraine said ‘give us financial support and we will focus on Europe.’ When financial support did not come, some believe Ukraine turned to Russia. I believe that Ukraine is convinced to go West. What are the main ways to fix the negative things about Ukraine’s image? Start deleting all bad “habits” as fast as possible. I think the same way as Michael Saakashvili. He is very important for Ukraine right now. The experience he had in Georgia against corruption and the way he solved, it was great. Les talk, more action. Ukrainians are the people who are already happy with a little positive change. I hope that Saakashvili will become a Prime Minister. There are a lot of young people who want quick changes in Ukrainian population. There should be more young, well educated, honest and sincere people in Government. Majority is younger generation, start doing it. How strong is Russian propaganda about Ukraine in the EU. It is not that strong but if they make propaganda, it is negative news about Ukraine. And I am convinced that Russia is director of it all. For instance, these paintings from West Fries Museum were stolen 10 years ago. What a coincidence: they suddenly appear now, in Ukraine, after 10 years. It gives me a strange feeling that Russia bought the paintings and planted them in Eastern Ukraine. Of course, that gives the Dutch population a bad image towards about Ukraine. What is the real reason that caused such a surprisingly high interest to our country and its association with the EU in the Netherlands? In my opinion, Ukraine it the last country in the world with such great economic perspectives and possibilities in many different fields. For instance agriculture, energy, water management, IT, infrastructure, industry (medicines, metal, and so on). Furthermore the people in Ukraine are very well and highly educated. The Netherlands has been for many centuries all over the world a trading country. In every little corner of the world you will find Dutch people, being busy with trade and helping develop other countries. Besides, we can learn a lot from Ukrainian people as well Ukrainians can learn a lot from us; create and develop a win-win situation. Due to the Agreement, trading Goods and services can go both ways; it will be easier, without high taxes, which will stop corruption. Who are Ukraine’s main friends in the context of the upcoming referendum in The Netherlands? 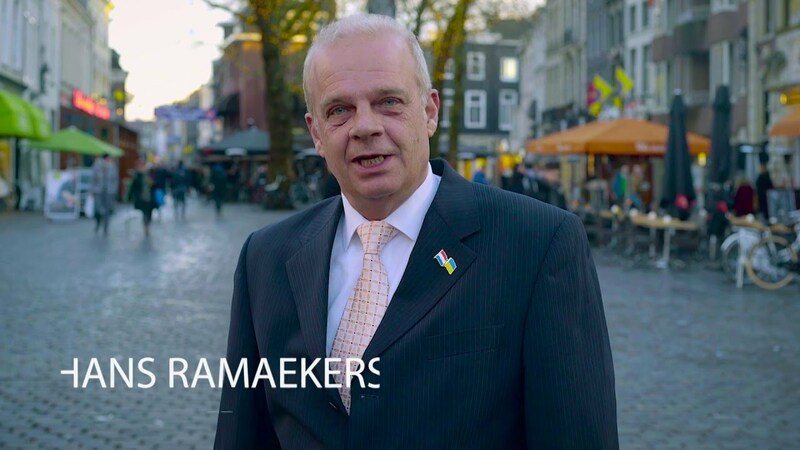 Initiator of Ukrainian support is STICHTING STEM VOOR NEDERLAND, also Joshua Livestro, Corinne Ellemeet, Michiel van Hulten, the former Ambassador of The Netherlands in Ukraine Pieter Jan Wolthers en Eelco Keij – they are taking a very active role. I will be part of TV interviews concerning Trade with Ukraine and The Netherlands and explain why it is so important to vote YES. Who can get most benefits from this referendum in Holland and maybe abroad? If the result is positive for Ukraine, which would be a YES vote for Association agreement, then of course Ukraine will benefit the most, because getting investments and doing business in Europe will become easier. But of course European countries will benefit from that too, by offering their services to Ukraine to help make it a healthy democratic country. If the result is negative, Russia will get what it is waiting for. What major positive changes happened in Ukraine during the period of your work here? I started doing things in Ukraine back in 2010, but officially I was registered in October 2013. I worked for a Ukrainian insurance company. It was in October 2013, just before EuroMaidan started. I lived in the area of EuroMaidan, when Yanukovych fled the country. Of course, this was a very positive change, and positive was also the fact that Petro Poroshenko became President. Of course he had not only to deal with the past, but also with Crimea and the war in Donbas region. As far as I see it right now, positive changes are going too slow. Let the young generation take over and start doing things faster to get rid of “old habits.” I am an optimist, so I never see any barriers on the road. What are the main things that EU and Ukraine have in common? I will answer this one only with what Ukraine and The Netherlands have in common, because the rest of EU is quite different with thoughts and culture. Our countries both have in common that they want to innovate, live a decent life, have highly educated people who want to work hard for a decent salary or income, are both willing to demonstrate if they do not agree with decisions made by or planned by Government and not afraid to do that. We have in common that we are against violence in any way, terrorism or war. We both believe in a better future for ourselves and our children. Is there something in Ukraine that Europe can learn from us? Ukrainian people are very strong in getting united, they are very family-orientated and, if it’s possible, they help each other. And in spite of the situation, Ukrainians do not complain. In the Netherlands there is more individualism and the people are more orientated that way, maybe it has to do with the fact that life is good over here, we complain more, and there is this dissatisfaction. What do you think about current situation in Ukraine? Could this be a painful, but normal, process of transferring to the developed democracy, or is this a permanent political crisis? Current situation in Ukraine is instable: war in the East, people in parliament are still corrupt, even in Poroshenko’s party. One positive exception is Saakashvili. To transfer to developed democracy the “Old Guys” should leave the arena and make place for the young generation who are willing and determined to make changes as quick as possible and who are the generation that stood in the front lines when EuroMaidan happened. They deserve to have the change to do it. Reform fast by acting and not talking. It will be a little painful, but not that much. If the young generation with the Western European mindset and ideas starts running the show, there will be no permanent political crisis. What do you expect from the Association Agreement with the EU? It is a trade association agreement hundreds of pages long between Ukraine and EU on economic cooperation. One of the points is to get rid of import taxes (25%) on Ukrainian goods. What is the most attractive sphere of Ukraine economy to invest in? We are specialists in agriculture; we are special in Green Houses. Ukraine has a lot of possibilities of making Green Houses to put cows there. Also we are interested in energy – wind energy, solar panels; there are a lot of companies which are interested in investment in this sphere. Agriculture is very important, there is a guy south to Kiyv, and his name is Anton Smith. He started the farm; he has 2,000 top cows right now, producing a lot of milk. All the milk goes to Danone. There are a lot of farmers here in the Netherlands who are interested to go to Ukraine and start farming there. Anton Smith is hiring 150 Ukrainian people and he pays good money to them. So the people are happy, he is developing and he is doing what he wants to do. Also IT sphere is very interesting for Netherlands business. Ukraine has many valuable resources, many possibilities and opportunities, highly educated people, people who are willing to work over there, but they need help.